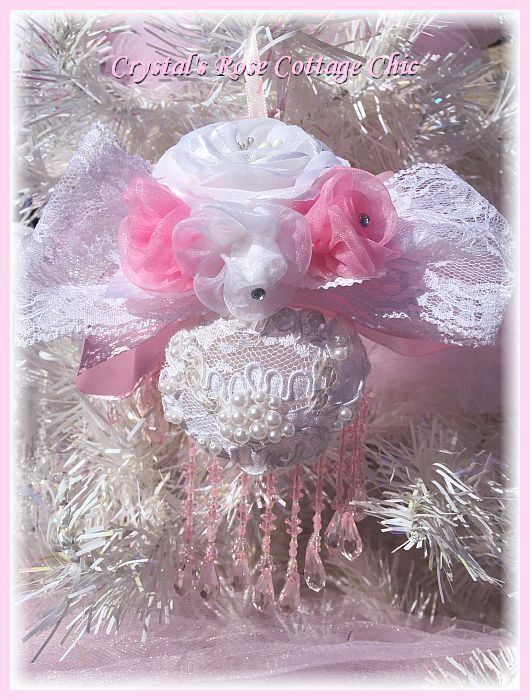 This lovely ornament has a beautiful pearl beaded and sequin lace applique with pink beaded fringe hanging down for a soft Romantic touch. It has a white satin rose with sweet pink rosettes on top. It has lavish pink and white lace bows too!